We are progressing well on site with the construction of a new 400 person congregation church and ancillary accommodation in Caterham, Surrey. 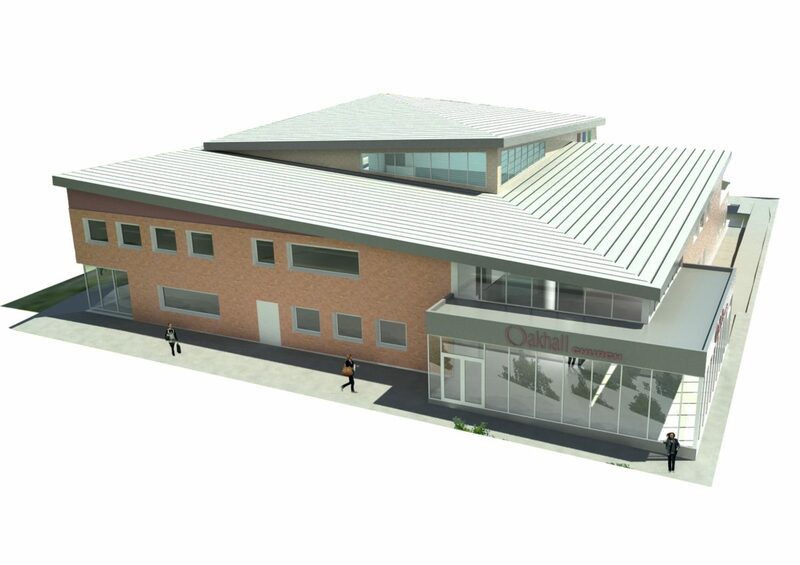 This exciting Design & Build project was won in competitive tender and consists of a large auditorium/hall, focus foyer, training rooms, offices, crèche, kitchens, youth club and residential flats. The design and planning was carried out by gdm architects who are also the novated architect. The scheme concept is focused around the central hall which has an eccentric pitched high seam roof rising above the 2 storey accommodation on 2 sides. The main hall is constructed of facing blockwork and the ancillary accommodation is a mix of brickwork, with feature recessed windows, and smaller areas of coloured render. The church brief asked for a modern building that did not necessarily look like everyone’s expectations of a place of worship. There are no external religious references but large coloured glass windows into the main hall are a hint and a real feature from both inside and out. This is a rare and very prestigious project, one which we believe is likely to be high profile as it gets closer to completion.